Home is where the heart is and homeinteriorszone.com understands that the interiors of a house are what turn it into a home. The website was created with the vision of providing abundant ideas to those looking for fresh and innovative ways to decorate their interiors. The website includes a number of categories that relate to home interiors. The site also includes floor plans for renovations and also covers home improvement ideas. 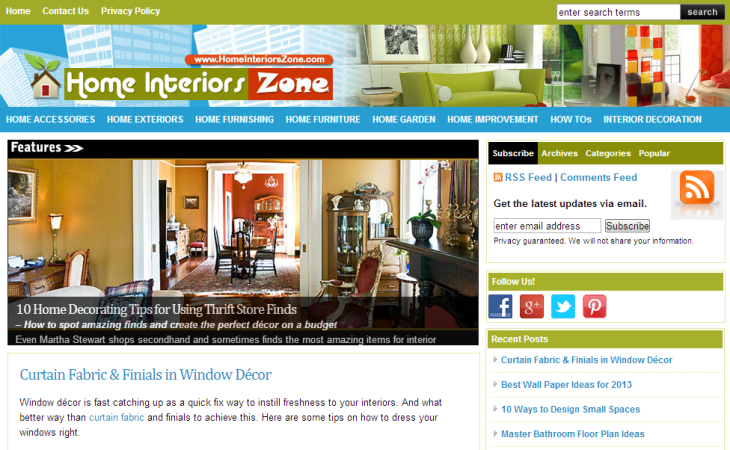 It keeps the readers up to date on the happenings in the field of interior decoration. It also uploads special feature articles to represent any latest trend of the season.